In Dantá 3 we introduce digital lessons which encourage the writing of the Irish language. In Dánta 3 we present lessons targeted at Irish language poems. Professionally-recorded audio recitals are accompanied by colourful illustration of key words and themes. The complete poem is always displayed on the final page of each section and an English translation is also available. 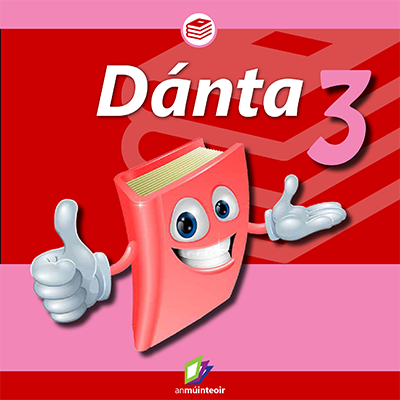 Dánta 3 has been created for students in Rang 5 & 6. The Dánta 3 digital lessons can be introduced in conjunction with Amhráin to provide a fun audio element to teaching Gaeilge in the classroom.